This week, I've paired up with Brook Magee again! 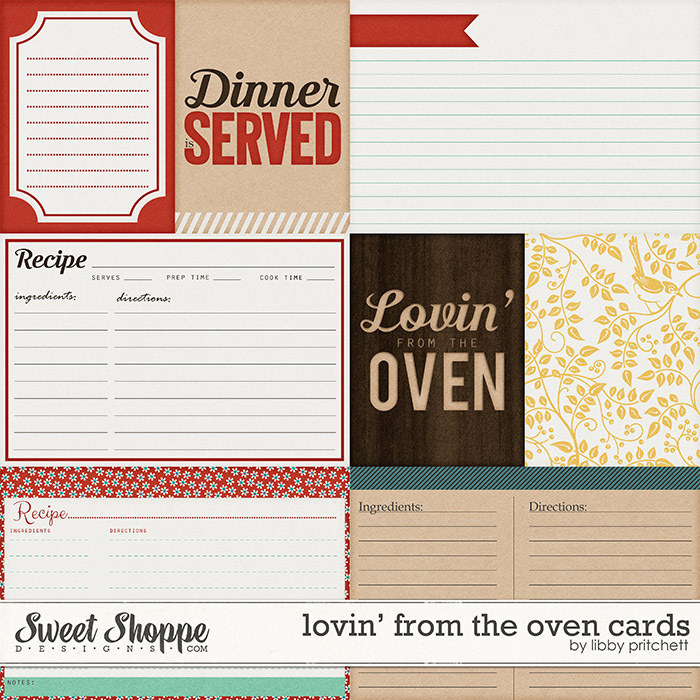 This time of year, we both love to spend time in the kitchen, so we thought that a kit celebrating our love for cooking and baking was in order! 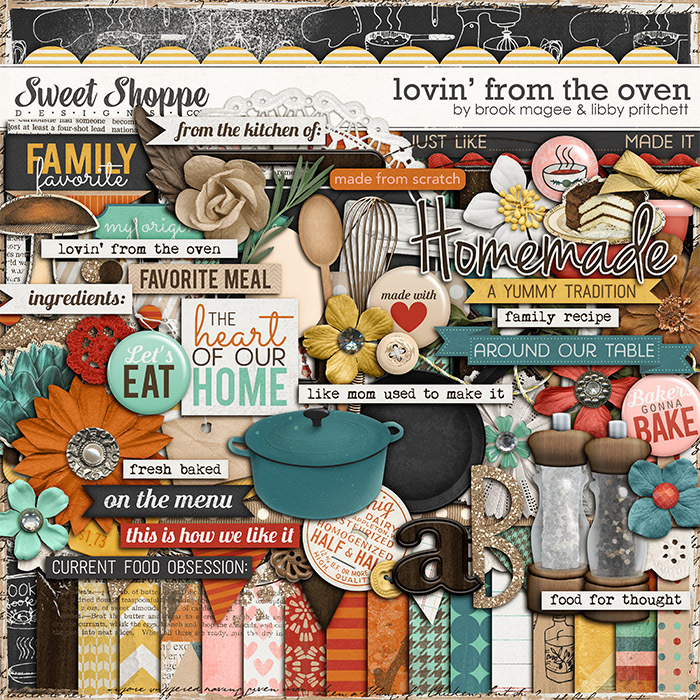 With warm colors and tons of unique elements, Lovin' From the Oven is sure to take you back to your favorite memories in Grandma's kitchen! 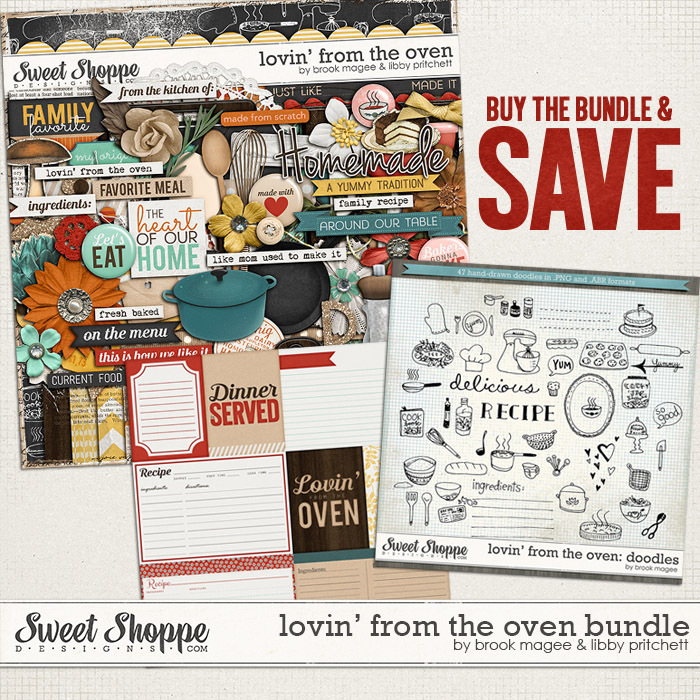 You can grab each piece individually or save when you buy the bundle! 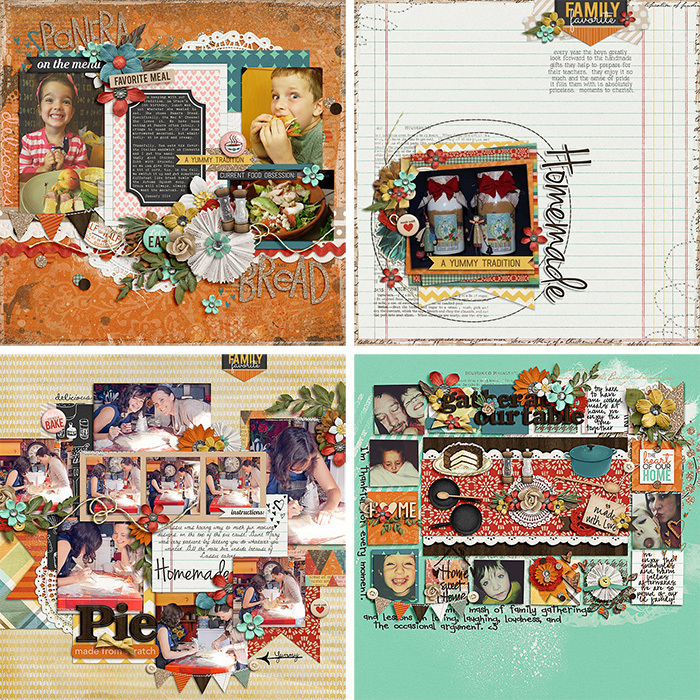 If you're looking for some inspiration, be sure to check out the Facebook gallery for this kit, too. That's it for this week! I really enjoyed working with Brook, and I love the way this kit came together. I hope you guys love it as much as we do! I'm also super excited about what I've got coming next week. 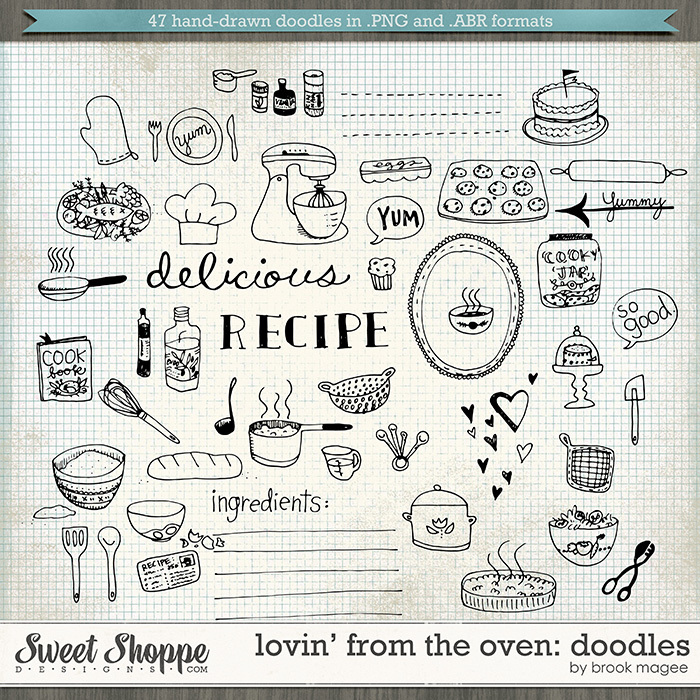 I have the opportunity to work with a Sweet Shoppe designer that I've NEVER scooped with before! Can you guess who it is?